I’m vacationing at my sister-in-law’s house in Front Royal VA and have been doing some “Deck Side” reviews. It’s cooled off a little today and it’s now around 8:00 PM. 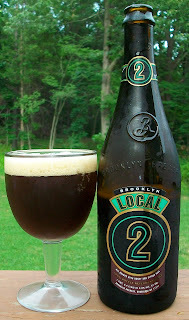 I brought a bottle of Brooklyn Local #2 so I figured I’d give it a Deck Side Review. I received this as a birthday present from my friend Bob. I have had this several times before and really liked it. I have not had it in over a year and I have never reviewed it. So I’m really looking forward to reviewing this tonight. 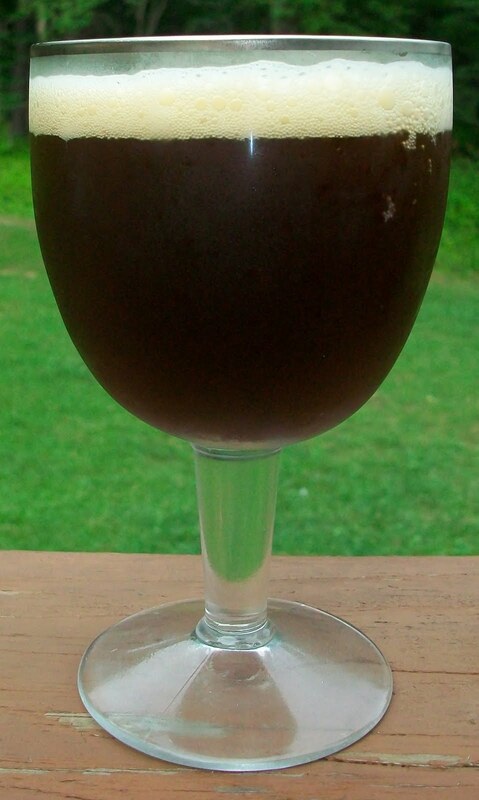 The beer pours a slightly hazy dark brown with copper hues and a fairly rich off white to tan head. The nose is like a classic Belgian Dubbel; rich caramel almost roasted malt aromas along with dark fruit esters and nutty notes with no hop presence. Oh MAN that was great! That first sip was fantastic with rich dark malt flavors, smooth and creamy with an effervescence that almost makes it refreshing as well. What a great first sip. The experience starts out with a dark malt sweetness up front then a slight effervesces over the tongue during the middle of the sip. The back-end is smooth and easy but there is a slight hesitation on the swallow. Your palate knows this is not a light beer. Still just the same the swallow is easy and with a creaminess that develops just before the finish. The finish is exquisite. This is where all the flavors come together. It is smooth rich and creamy with great dark roasted malt flavors along with notes of dark fruit, sweet candi sugar, chocolate, and that classic Belgian yeasty finish. There is a lingering aftertaste of dark fruit with a pinch of chocolate. 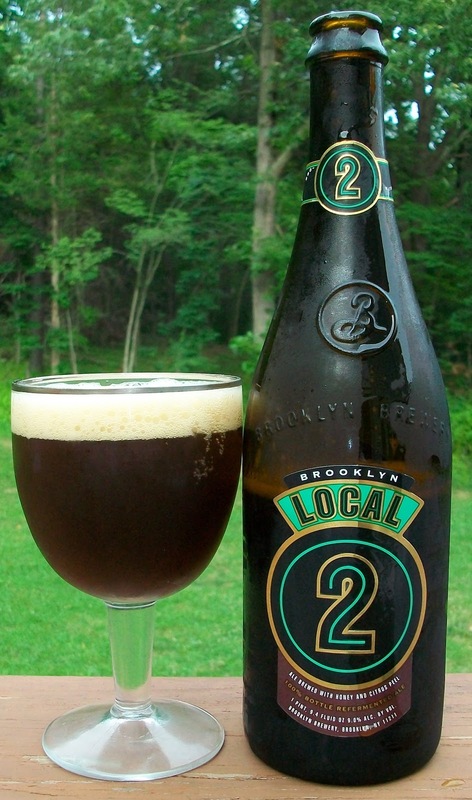 This is one of those complex beers that you keep picking up something different on every sip. That time there was an almost oak taste on the finish. Just before that I thought I picked up spices that were cinnamon-like. I guess these are those dark fruit esters that are adding so much enjoyment to this experience. Wow, I can’t wait to see what this does as it warms and opens up a little. I don’t have my thermometer but this as got to be close to room temperature now. Wow, I just love it when a beer taste as good if not better as it warms. This is much smoother now that the carbonation has released. What a great Belgian Strong Dark. This is smooth, rich and creamy to the last warm drop. It’s another impressive creation from Garret Oliver at Brooklyn. This is a solid A+ for me. This is a great rendition of a Belgian Strong Dark Ale; smooth, dark roasted malty goodness with rich dark fruit esters that and a unique complexity to the experience. It warms exceptionally and is delicious to the last warm drop. Hows bridgy's pool I sure it is better then mine but not as fun. Oh by the by did Kathy get her email from Erin? Bridgy is still having some pool opening issues. Still battling some algae but swimable.